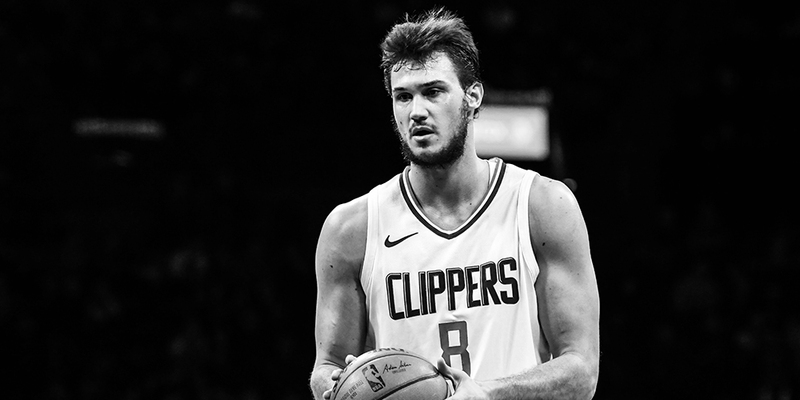 Contributor Elyse Weiss and I explore perhaps the most important offseason question for NBA teams — and why it means the Clippers should be very, very worried about Danilo Gallinari's future. During the 2007-08 season, Rashad McCants averaged 15 points per game as a 23-year-old wing for the Minnesota Timberwolves. He shot 42% from three and finished well at the rim. Minnesota was over 8 points per 100 possessions better with McCants on the court compared to off, a massive gap. He was selected as a team captain. It didn’t seem like a stretch to say that McCants was on a path to future stardom. One year later he was out of the league. McCants never played another minute in the NBA. When a player’s trajectory drops so suddenly, there’s usually a clear explanation: a key injury, substance abuse, or a player’s skillset no longer matching what teams are looking for. None of those were the case with McCants. His fall from grace was such a mystery that Chris Palmer wrote an entire article in a July 2010 issue of ESPN The Magazine exploring the subject. McCants’ biggest regret was his highly-publicized relationship with reality TV star Khloe Kardashian late in his career, which he said gave people an opportunity to doubt his commitment to the NBA. On Dec. 30, after a game in Dallas, McCants flew to Vegas to spend New Year’s Eve with his then-girlfriend, Khloe Kardashian. The team was off the next day, so he had time to recover, fly back and make a shootaround on Jan. 2. But McHale caught wind of his revelry and, by McCants’ lights, the coach was none too pleased. Later that season he was shipped to Sacramento, his last NBA stop, and there was yet another piece of evidence of the Kardashian Curse. It seems a little rich for McCants to blame the end of his career on dating Khloe Kardashian, of course. Palmer’s article details plenty of reasons why NBA executives were wary of signing him, regardless of his talent. And yet we can’t dismiss McCants’ explanation entirely, especially after the ground-breaking work by Matty Cheng of the Harvard Sports Analytics Collective. Cheng performed an exhaustive study of the impact of dating a celebrity by any athlete across the major sports and found that “athletic performance dropped by an average of 48.66% after beginning to date a celebrity. After a break up, athletic performance on average increased by 83.11%.” That’s a startling impact. This research is suddenly even more relevant as Khloe Kardashian and Tristan Thompson have reportedly split, putting Khloe, who has a history of dating NBA players, back on the market. And though Kendall Jenner, who has also had a few different NBA romances, is currently dating Ben Simmons, if recent reports are to be believed, that relationship may have hit a rocky patch. And so, the research suggests that as we head toward the offseason, there is perhaps no more important question for teams than: who is the most likely player to date a Kardashian next? Whose performance might be subject to the dreaded Kardashian Curse? That is where I turned to contributor Elyse Weiss, a political data consultant, to help build a predictive model to answer just that question. I provided her with a data set of NBA statistics and biographical information, and Elyse used Civis Analytics’ software to investigate this question. She started with a Gradient Boosting Trees model. The #1 player it identified? Andre Drummond. Drummond, another offensive rebounding big man with a history of dating celebrities, isn’t that dissimilar to Tristan Thompson. So far so good. But beyond that, the rest of the top 10 players the model identified as most likely to be the next Kardashian victim was an eclectic bunch. From Nikola Jokic to Tyler Cavanaugh to Andrew Wiggins, those with the highest predicted likelihood to date a Kardashian did not seem to have much in common. So Elyse additionally ran a sparse logistic regression, which allows us to key in more closely on variables that are valuable in model creation. In this case, those proved to be how many minutes a player played and whether they played in LA. That makes sense: Blake Griffin, Jordan Clarkson, and Lamar Odom all began relationships with Kardashians while playing for either the Clippers or Lakers, and it’s clearly important to the publicity-conscious Kardashians that their significant others are good players. This logistic model suggested that, had Tobias Harris not been traded by the Clippers at the deadline, that he would have been near the top of the list of future Kardashian targets. (Given Harris’ impending free agency, it might be a good thing he was shipped out of LA when he was.) The next most likely player according to this second model is Kyle Kuzma, which actually doesn’t seem like a bad bet given his location, role, and the fact that his relationship with an Instagram model has been quite public. Only two players appeared in the top 10 of both models: Danilo Gallinari and LeBron James. It’s understandable why the models picked up on LeBron, of course, but we can clearly cross him off the list since he is not exactly an eligible bachelor. Which leaves Gallinari. Gallinari, who is under contract for one more season in LA, who is in the midst of the best season of his career, who has a chance to make a lot of noise in the playoffs, and who has already been approached by one Kardashian. It’s no sure thing, of course, but let’s say that if we were in the Clippers’ front office (or Gallinari’s agent), we would be worried. Very worried. Of course, only time will tell how accurate these predictive models are. But if, in a year, we find out Gallinari’s play has suffered and there’s a relationship to blame, remember when you first heard it predicted: on April Fools’ Day. Elyse Weiss earned her data chops working on the 2012 Obama re-election campaign, the 2014 Senate race in North Carolina, and during two years at Civis Analytics. She currently supports progressive political groups to leverage the best data and technology available. Any sports knowledge is largely limited to those athletes dating Real Housewives or appearing on The Bachelor. If you enjoy these topics, you can follow Elyse on Twitter @er2225.